Special Education Mess in Texas: Stonewalling to End Public Schools? Texans are still understandably upset about their children losing out on special education services. Texas education officials look like they are stonewalling to keep special education services from students. Here’s the most recent information on the Texas special education boondoggle. You have to hit the links to get the real picture, and even then it is confusing. Since 2004, the Texas Education Agency has placed a cap on the number of students who could get special education services. They got caught doing this in 2017. 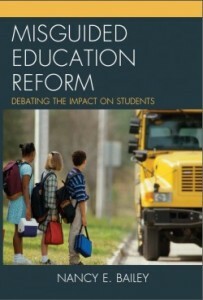 All those years—how many students missed out on the services they deserved under the federal special education mandate? One wonders where Arne Duncan and also Margaret Spellings were, when Texas eliminated services for so many children. As education secretaries, didn’t they notice? Why aren’t they held personally accountable for such poor oversight? Here’s a report that raises the question of Spellings’s role (and others in the Bush administration). Also, they mention the use of Response to Intervention and how it most likely led to denying students the special education services they needed. Betsy DeVos has condemned the Texas Education Agency. But we know her plans for public education. Blaming and destroying public schools falls right into her school choice playbook. She wants to dismantle the rules surrounding special education. The United States Department of Education wants the Texas Education Agency to get survey feedback from parents. They also say TEA is committed to including significant stakeholder engagement in a meaningful way. This includes special education students, families, educators, advocacy groups, district and school officials, amongst others. Texas bemoans that they don’t have the special education staff they, like other states, need to do the job. Why doesn’t the TEA work harder to recruit special education teachers? Instead of the TEA helping Texas school districts right the wrongs of intentional neglect of students with disabilities, parents in Texas have had to worry about data mining of student information. Last November, then TEA Special Education Director Laurie Kash filed a federal complaint with the U.S. Department of Education. According to The Texas Tribune, she claimed the TEA had violated state procurement processes, in part by failing to submit documentation with the state budget board, Texas Register and governor’s budget office. This was for a non-bid $4.4 million contract with SPEDx, a Georgia company that analyzes the private records of children with disabilities. For a state that’s in the hole when it comes to a sufficient number of teachers to serve kids, $4.4 million is a lot of money for unnecessary data collection. Kash worried about the private information being collected about children with disabilities. Suddenly, the TEA fired Kash. According to My Statesman, this was a week after a lawsuit accused her of trying to cover up the sexual abuse of a 6-year-old girl while working at a small school district in Oregon. The TEA said that Kash told them nothing about those allegations and that, if she had, they never would have hired her. Kash claimed she did tell the TEA about the situation before she was hired, and that she had been cleared of everything. The parent in that case decided to sue the Oregon school district anyway. Kash’s lawyer claimed Kash was fired from her job in Texas due to filing that federal complaint. Disability activists helped end this contract. SPEDx still got $2.2 million from the TEA. Even though the SPEDx plan was foiled, the new plans sound like the TEA still has hope of contracting with outside companies. They say they will also go through a bidding process to find an organization or company that can create a set of resources to educate parents of children with disabilities on their rights under federal and state law. Can’t local school districts inform parents of their rights? Why is that such a difficult thing to do? It doesn’t seem like they need a glut of surveys and data collection. Parents need to be given priority and assistance in determining which children qualify for special education, and then the school districts simply need to provide the services. Well-qualified general education teachers need to know what to look for when it comes to disabilities found in students they teach. The focus here should be on local school districts and their needs at individual schools. Every school district should have a special education director and program specialists to help school principals and teachers determine who needs services. counselors and other support staff. I’d say, instead of millions of dollars going to outside data mining companies, they also need money for stipends to pay those who put extra time into getting special education back on track in the various districts. It will take real teachers and staff to fix the deplorable mistakes the TEA has made when it comes to services for students with disabilities! 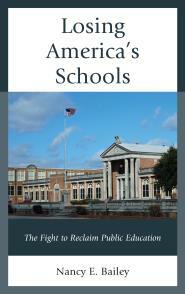 The state needs to monitor the needs and resources of the local school districts. They can do this by working with the local administrators and school boards. Parents, of course, will attend those board meetings. But the Texas Education Agency, with the exception of Kash who seemed to have real credentials, has been relying on people at the top who taught and have little preparation or experience working in special education—like Penny Schwinn from Teach for America who attended the Broad Academy. Schwinn later got a master’s in education, but she is not a special education teacher, nor did she teach with experience or real teaching credentials. Two other Teach for America rookies are working for the TEA as well. TEA Education Commissioner Mike Morath praises Schwinn, who has been deputy commissioner of academics, overseeing the agency’s policies on testing and academic programs, and special education. But Schwinn spearheaded the no-bid contract with SPEDx. Penny was hired only last April and already she is applying to work in Massachusetts, after the SPEDx deal failed. She seems to only stay a year in a school district. She gets influential positions, despite her lack of special education experience. Everywhere she goes she pushes charter schools and choice. While the TEA looks like they are making intricate plans claiming they are intent on getting feedback from parents, there’s a lot of anger over the educational system in Texas. Of course such anger goes a long way towards making parents look for school choice alternatives other than a public school system that’s not doing the job it’s supposed to do. One has to wonder if the Texas Education Agency is stonewalling in order to intentionally destroy itself. Unfortunately, Texas, like all states, has little affordable to offer most families with students who need special education assistance outside of the public school system. Watch for the creation of more substandard charters in Texas for students with disabilities. In the meantime, how are Texas students with disabilities faring? It is always the students who lose when it comes to hideous reform. Thank you. It wasn’t an easy post to write. And there’s a lot more that could be written. This worries me. I have several special Ed people who are in normal classes and RTI. They are, of course, underperforming. It is difficult to teach them in a setting where some of the children Are performing at a high level. Thirty children are in this class. I am of the opinion that most lawmakers see this as favorable. They perceive failure as a crisis of will, not of genetics. I fear they are trying to use RTI to circumvent really helping the children. Thanks, Roy. I think a lot of people share your fears.